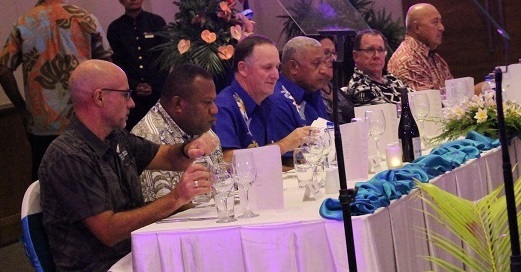 New Zealand Prime Minister John Key’s visit to Fiji last week was a defining moment in Kiwi-Fiji relations. The visit is likely to modify and strengthen the ties that had thawed in recent years. Although the visit was more ceremonial, it signified the mutuality of interests of both countries to improve their relations. It came in the wake of the bonhomie ensuing from New Zealand’s prompt and extensive aid to Fiji during Cyclone Winston early this year. New Zealand and Fiji have had long and roller-coaster relations since the colonial days and in Fiji’s independent era, New Zealand’s colonial perceptions and neo-colonial attitudes largely stymied the ties. It is not so well known that in 1919, there was a move to place Fiji as a federated state of New Zealand, whereupon the then leader of the Fiji Indians, Manilal Doctor petitioned that based on its population, Fiji should be part of India! It gave fillip to the first exodus of Indians and contaminated race relations in Fiji (Please read my book, ‘Aryan Avatars,’ Pages 81 to 83). Isn’t history repeating itself now? The Western political dominance since the beginning of explorations and colonialism has been entwined with the indulgent value system based on aggressive paternalism and espousal of democracy. There is an intrinsic contradiction between dominance and democracy. The means and ends do not match and therefore the predilection of glorifying democracy while subscribing to direct or indirect exploitation, discrimination and inequity sounds hollow for majority of the developing nations. Australia and New Zealand are part of this socio-political milieu. Downward diplomatic trajectory began with Fiji’s 1987 coups that sent shockwaves in the Pacific region dominated by Australia and New Zealand. However, it was the acquisition of power by Josaia Voreqe (Frank) Bainimarama on December 5, 2006 that created an avalanche of fissures that continues to haunt the relationship. New Zealand pounced upon the Bainimarama government with sanctions, withdrawal of aid, barring entry of key military/civil personnel and cessation of seasonal workers and immigration quota schemes. It insidiously worked to isolate Fiji from the United Nations Peace Keeping Force and the British Army. Neither Australia nor NewZealand contemplated such sanctions against the Egyptian military that forcibly removed the democratically elected Morsi regime or the coups in Pakistan and Thailand. This was a hard line approach, a retrograde step by the regional powers. Bainimarama would never forget his denial of entry to New Zealand to attend to a familial need. The wound is still festering. Fiji was in a diplomatic limbo. 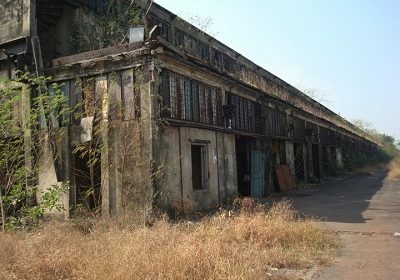 The gap was filled by China, India, and Malaysia and more recently by Russia, Indonesia and the Pacific nations. The Pacific Ocean is no longer the exclusive backyard of Australia and New Zealand. Its sphere of influence has substantially widened. Russia is not regarded as an enemy with a poisonous ideology. The Russian Embassy does not now have to issue a secretive visa as it did for me to visit Moscow on my way to attend Berlin’s 1986 XI World Conference of Labour. With the resumption of diplomatic ties in 2014 after Fiji’s last General Elections and the recent camaraderie developed between the two countries following Tropical Cyclone Winston devastation, there are efforts at fence building. There are however several areas that require a rethink, more particularly on the part of New Zealand in the context of the new alignment of diplomatic forces. Firstly, New Zealand has to get out of the coattails of Australia and forge a more pro-Pacific foreign policy. 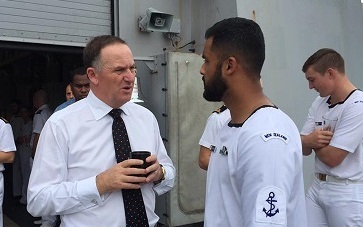 Unlike Australia, New Zealand has a large Pacific Diaspora including that of Indo-Fijians, Samoans, Tongans, Cook and other Islanders, It has a more humane immigration and detention policy. 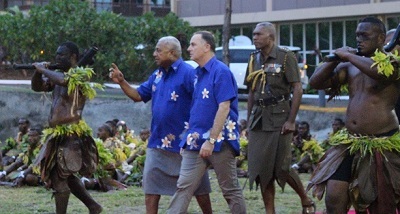 In addition, it has (a) positive schemes for seasonal workers and immigration intakes from Pacific Island nations (b) given formal recognition to the first settlers and (c) a more resilient outlook on environment and welfare. Above all, its geographical location and population mix is more attuned to the Pacific nations. It is the feeling of identity that has to be pursued. 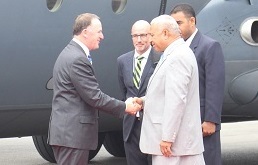 Secondly, New Zealand should not be seen to be patronising when dealing with Pacific leaders. The litmus test of diplomacy is both in style and substance. The Pacific Island Forum, a colonial structural anachronism, needs to be reinvented. As part of diplomatic fence-mending, New Zealand must Z has to recognise Fiji’s leadership in the Pacific, its position in the UN Group of 77 and international sugar-producing groups. It is evident that China and India heads scored a diplomatic coup by being the first to be in Fiji after the elections and Fiji seized the opportunity to invite the other heads of Pacific Island Nations to meet with them in Suva. New Zealand must align its climate change policies with the sentiments of the Pacific Islanders. 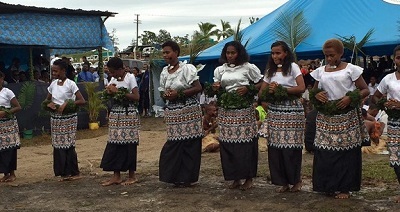 Fiji took the Suva Declaration for a cap on carbon emissions at 2deg. C to the 2015 Paris Conference. It provided a benchmark for an agreement to be reached at 1.5 deg. Fiji is aware of the excruciating effect of cyclones and at the World Humanitarian Summit pressed for a permanent home for people displaced from low lying areas. New Zealand can help in this arena. 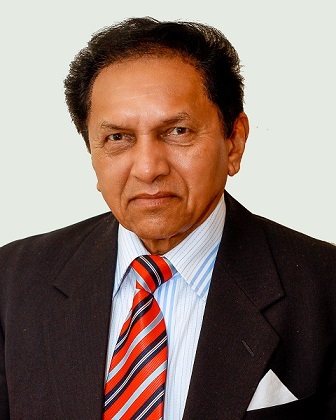 Mahendra Sukhdeo is a Fiji born academic. He was a Research Fellow/Lecturer at the University of South Pacific before being elected as s foundation Vice President of the Fiji Labour Party. He worked in New Zealand for 12 years before migrating to Australia in 2011.